GLEN ROSE, Texas (AP) — Former Navy SEAL and "American Sniper" author Chris Kyle was fatally shot along with another man Saturday on a Texas gun range, a sheriff told local newspapers. Erath County Sheriff Tommy Bryant said Kyle, 38, and a second man were found dead at Rough Creek Lodge's shooting range west of Glen Rose, according to the Fort Worth Star-Telegram and Stephenville Empire-Tribune. Glen Rose is about 50 miles southwest of Fort Worth. Bryant did not immediately return phone calls to The Associated Press seeking comment late Saturday and early Sunday. Investigators did not immediately release the name of the second victim. Witnesses told sheriff's investigators that a gunman opened fire on the men around 3:30 p.m. Saturday, then fled in a pickup truck belonging to one of the victims, according to the Star-Telegram. The newspapers said a 25-year-old man was later taken into custody in Lancaster, southeast of Dallas, and that charges were expected. Lancaster police did not immediately return calls for comment. The motive for the shooting was unclear. 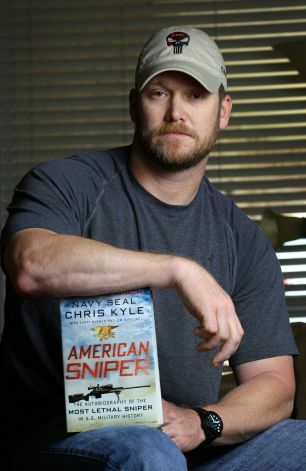 Kyle wrote the best-selling book, "American Sniper: The Autobiography of the Most Lethal Sniper in U.S. Military History," detailing his 150-plus kills of insurgents from 1999 to 2009. 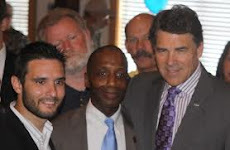 I'm not saying that THIS is it, but ever since Janet Napolitano released a "terrorist profile" of ex-Military conservatives, I've been waiting for false flags events to try and fit their meme. I pray for the victim's families and that TRUTH be exposed - whatever it is.